Franklin D. Lewis <flewis@uchicago.edu> is an Associate Professor of Persian Language and Literature, and Chair of the Department of Near Eastern Languages and Civilizations at the University of Chicago. My friend, mentor and Doktorvater, Heshmat Moayyad passed away on Monday 25 June 2018 in Northbrook, Illinois, at the age of 90. Heshmatollah Moayyad Sanandaji began a long and full life in Hamadan, Iran, where he was born on 28 November 1927 into a Baha’i family of Jewish origins – a double minority. His father, Yaʽqub Moayyad, was a contractor with a background in Sanandaj; his mother, Masʽudeh, was a homemaker. He had two older brothers, Nosrat and Enayat, who went into medical practice and pharmacy before Heshmat had finished college – as well as three younger siblings, two sisters, Parvaneh and Parvin, and a brother, Saʽid. After completing primary school in Hamadan, he went to Tehran for high school; during his third year there, the Allied powers deposed Reza Shah. Heshmat began his studies in Persian Literature at the University of Tehran at the end of the Second World War. At the age of 21, he interrupted those studies for one full year from the winter of 1948 to 1949 in order to do community organizing among the smaller Baha’i communities in cities, towns, hamlets and districts scattered across Iran. His travelogue, a 320-page handwritten manuscript taken down at the time and eventually published in 2015 details those visits through the provinces of Arāk (Markazi), Khuzestan, Bushehr, Hormozgan, Fars, Kerman, Isfahan, Qazvin, Qom, and Azerbayjan. Perhaps the most memorable leg of his journey was to Bahrain, to see the writer Abu’l-Qasim Faizi (1906-1980), whom the young Heshmat Moayyad looked upon as a saintly spiritual guide. He kept up a lifelong correspondence with Mr. Faizi, and was still thinking about him nearly three decades after his death, when he compiled a 200-page tribute, “In Memory of the Friend,” with extracts from Faizi’s letters, essays and memoirs, as well as poems in his honor, and Heshmat’s biography and memoir of him. After completing his undergraduate studies in Persian and Arabic Literature at the University of Tehran, where he went to study with the likes of Saʽid Nafisi, ʽAli-Asghar Hekmat, Ahmad Bahmanyar, Mohammad-Hosayn Fazel-e Tuni and Ebrahim Pourdavoud, he went to Tübingen in 1951 to learn German, and by the end of 1952 was studying Orientalistics and German Literature for the PhD with Hellmut Ritter at the Johann Wolfgang Goethe-Universität Frankfurt am Main, during the time when Theodor Adorno was Rector and Max Horkheimer the director of the Institut für Sozialforschung (Horkheimer soon after would come to Chicago as a visiting professor). Dr. Moayyad began teaching Persian in 1953 while still a graduate student at the University of Frankfurt, and held the position of Lecturer in Persian there from 1956 to 1960. The classroom materials that he collected and developed as a teacher of modern Persian to German-speaking students led to the publication (with Johann Karl Teufel) of a small Persian self-study text, Polyglott Sprachführer: Persisch (Köln-Marienburg and Munich: Polyglott-Verlag, 1965) which long remained in print. Moayyad also made the first translation to German of Sadeq Hedayat’s famous novel, Buf-e kur, one of the early efforts to present modern Persian literature to a western readership. Heshmat defended his doctoral dissertation in 1958, which received the distinction of valde laudabile; it was published as Die Maqāmāt des Ġaznawī, eine legendäre Vita Ahmad-i Ğām’s, genannt Žandapīl (441-536/1049-1141). And in that same year (1958), he proposed to his wife, Ruth, then a student at the University. Together they went on to raise a family and she devoted her considerable energies and organizational talents to his career over the sixty years of their marriage. Their first move was to Naples, where Dr. Moayyad was invited by Professors Alessio Bombaci (Turkish Language and Literature), and Alessandro Bausani (Persian Literature) to teach at the Istituto Universitario Orientale at the University of Naples in 1959, where he was appointed first as a lecturer, and then as Professore Incaricato. From there, Prof. Moayyad was recruited by Prof. Richard Frye, whom Harvard had selected as its first Chair of Iranian Studies in 1957. Frye knew Hellmut Ritter, Moayyad’s mentor, from Istanbul, where both Frye and Ritter had lived in the closing year of World War II, and Frye spent the academic year 1959-60 in Frankfurt as a visiting professor. Frye was building up a focused program of Middle Eastern and Iranian Studies at Harvard, and Harvard as yet lacked a permanent arrangement for teaching Persian language and literature, so an offer was extended to Prof. Moayyad, who accepted the invitation to become Lecturer in Persian at Harvard. He held this position for one and a half years (Fall 1962 to December 1963) before deciding that he preferred to return to Italy as Professore Incaricato of Iranistics. The Spring of 1964 found him again teaching in Naples, and he spent that summer with his wife and two daughters in Iran. That summer of 1964, he discovered in Khorasan the unique manuscript of Rowżat al-rayāḥin by Darvish ʽ Ali Buzjāni, written in 1523 (929 A.H.) about Shaykh Aḥmad-e Jām, which Professor Moayyad edited and published in 1966. This nicely complemented the editio princeps of Sadid al-Din Mohammad-e Ghaznavi’s Maqāmāt-e Zhandapil Ahmad-e Jām, a hagiographical account of the popular Sufi saint, Shaykh Ahmad-e Jām (1049-1141), which Moayyad had published with introduction and annotations on the basis of a manuscript that Ritter had discovered in Istanbul in 1938. Subsequently, a second and more complete manuscript of Ghaznavi’s work came to light in the Chester Beatty Library, on the basis of which Moayyad produced a revised and expanded edition of the Maqāmāt, published in 1967. Some of my fondest memories stem from over a year’s worth of afternoons spent sitting at Heshmat’s long desk in his office in Pick Hall at the University of Chicago, translating this work with him to English; although I had completed my doctorate by then and was already teaching Persian, these sessions were an extended educational boon for me, and one that was filled with humor and delight, as we reflected on the language and lifestyle of the ordinary folk of twelfth-century Khorasan. In the Fall of 1964 Heshmat Moayyad was contacted by Muhsin Mahdi of the Department of Oriental Languages and Literatures at the University of Chicago (soon to change its name to Near Eastern Languages and Civilizations), which planned to create a program in modern and medieval Persian language and literature. Although Old and Middle Persian had been taught at the Oriental Institute in Chicago, modern Persian had only been occasionally and irregularly offered (beginning in 1962-63 a regular Persian class was offered through a graduate student from Tehran) and now the need for a professorial appointment was realized. Moayyad applied and an offer was extended early in 1965 for an assistant professorship with the aim of training students in Persian literature (philology, literary criticism, and literary theory) and Islamic studies; he arrived in Chicago and began teaching courses in Persian language as well as literature in 1966. He remained in this position for forty-four years, until his retirement in 2010. During his tenure at Chicago, an outstanding library collection of Persian and related western-language materials was built, and in the early 1970s Professors John Woods and John Perry joined the faculty in NELC, also teaching Persian historical, linguistic and literary material; meanwhile, C.M. Naim was hired in the South Asian Languages and Literatures department as a professor of Urdu and Indo-Persian literature in 1968. Plans to create a center for Iranian Studies, including additional endowed professorships and a dedicated building, with money donated by the government of Iran in 1968 did not come to fruition, but in the 1990s a regular lecturer position for Persian language was established. Moayyad contributed to the training of quite a few students of Persian literature, Islamic Studies and Sufism, and Iranian history, beginning already in Germany and Italy, but especially in Chicago, where he became full professor in Near Eastern Languages and Civilizations in 1974. He has held in addition a visiting professor at UCLA (1966) and at the Harvard Summer School (1971-72), as well as at the University of Damascus (1993 – the experience of which he encapsulated in an engaging article). Many of the students he trained in Persian literature have gone on to hold positions at the universities of Rome, Texas, Indiana, Emory, Chicago, Rutgers, and Boston. In the late 1970s, Prof. Moayyad edited a huge and fascinating collection of medieval Persian correspondence, compiled in the 14th century by Jalāl al-Din Yusof-e Ahl. The two volumes of this collection, comprising almost 1600 pages with annotations and notes, was to be rounded out by two further volumes, consisting of another 900 pages or so. The manuscripts of these have remained with the publisher in Iran, gathering dust, despite the best efforts of Iraj Afshar and others, as well as Heshmat Moayyad himself for them to see the light of day. As a prominent member of the Baha’i community, to which Moayyad devoted much of his time, he was unable to return to his homeland after the Iranian Revolution, and publishers in Iran seemed fearful of publishing his work in view of the systematic persecution of the Baha’is in Iran. I came as a student to Chicago in 1983, several years after the Revolution, which had cut him off from his siblings in Iran, and the possibility of conducting further research there. Of course, it also adversely impacted the study of Persian in the United States, as it became much more difficult for students from the US to study in Iran (Afghanistan was meanwhile under Soviet occupation, and Tajikistan was still behind the Iron Curtain). The Iranian Revolution, the execution or imprisonment of Baha’i friends, the purging of old colleagues, and fears for the well-being of his family aged him and gave him a more melancholy cast, but also a nature that was frequently described as gentle and kindly. But he never lost his sense of humor, which was almost impish, and his love for Persian literature and culture was always clear and more than that, infectious. In the 1980s Professor Moayyad turned his attention to collaborating with Prof. Jalal Matini as the book review editor and a consistent contributor for first Iran Nameh (1983-88) and subsequently Iran Shenasi (1988-2010), ensuring that diaspora Iranians would have a serious scholarly venue for publications in Persian. He also collaborated with Ehsan Yarshater, consulting about and writing articles for the Encyclopaedia Iranica and various Bibliotheca Persica publication projects. He introduced his students, and the wider Iranian community in Chicago, to numerous writers, poets, musicians and scholars from Iran whom he hosted at the University of Chicago – this was absolutely crucial for we students, who throughout the 1980s and 1990s were generally not able to travel to Iran or any other Persian-speaking country. The regular literary gatherings (shab-e sheʽr) which he headed at the University of Chicago in the 1980s introduced Persian-speakers to many new and less well-known modern writers, as well as to Persian poets of the Indian subcontinent. In 1988 he organized a major conference on the classical Indo-Persian poet Amir Khosrow (d. 1325), which was attended by scholars from all over the world. In 1989, he organized a three-day conference on Parvin E‛tesami (d. 1941), a poet for whom he had a special affinity, as reflected in the edition of her collected works which he produced, and the selection of her poems which he translated to English. He championed modern Persian literature not only by inviting writers like Bozorg Alavi, Nader Naderpur, Ahmad Shamlu, Hushang Golshiri, Mahshid Amirshahi, Sharnush Parsipur, Moniru Ravanipur, etc., to speak at the University of Chicago, but also in translating their works, and encouraging his students to do so. With Paul Sprachman he translated a selection of Mohammad ʽAli Jamalzadeh’s short stories as Once Upon a Time (Yeki bud, yeki nabud),and with contributions from a great many of his students he edited and introduced Stories from Iran: A Chicago Anthology 1921-1991, and Black Parrot, Green Crow: A Collection of Short Fiction by Houshang Golshiri. In addition to a score of books, Moayyad contributed over a hundred articles and book reviews in German, English and Persian during the course of his career on a wide variety of topics, including ʽAttar, Nezami, Saʽdi, Goethe, Turkic-speakers who composed poems in Persian, modern Persian poets, modern prose writers, intellectuals and literary scholars of 20th-century Iran, etc. His abiding interest was poetry, especially the mystical poets, though his tastes were eclectic and he enjoyed satirical every bit as much as spiritual themes, and he was delighted by works that showed us about daily life in pre-modern Iran, including medieval correspondence, hagiographies, histories, etc. Not surprisingly, he fiercely admired Ferdowsi, but perhaps felt more affinity for the romances, especially those by Nezami; he and his wife named their daughters after Leyli and Shirin, the leading female characters in Nezami’s poems. He also wrote or edited four books and numerous biographical and historical articles relating to the Baha’i community of Iran and various Baha’i intellectuals, including the two volumes by Hajji Mirza Haydar-ʽAli (d. 1920) which he edited, one about the scholar Abu al-Fażl Golpāygāni (1944-1914), and the other, Haydar-ʽAli’s letters to his wife. In March 1984, Professor Moayyad organized the very first academic conference on “The Baha’i Faith and Islam,” at McGill University in Montreal, inviting noted scholars in the field of Islamic and Iranian studies, such as Annemarie Schimmel, J.C. Bürgel, Michael Fischer, Marvin Zonis, Alessandro Bausani, etc., and later published the proceedings, The Bahá’í Faith and Islam. So why fear? When has dying made me less? Heshmat Moayyad, Yād-e yārān: Safar-nāme-ye yek sāl didār-e Bahā’iyān-e Irān (Nashr-e Kherad, 2015). Heshmat Moayyad, ed., Be-yâd-e dust (Wilmette, IL: National Spiritual Assembly of the Baha’is of the United States, 1998). Ṣādeq Hedāyat, Die Blinde Eule, trans. Heschmat Moayyad (Geneva and Hamburg: H. Kossodo, 1960). Heshmat Moayyad, Die Maqāmāt des Ġaznawī, eine legendäre Vita Ahmad-i Ğām’s, genannt Žandapīl (441-536/1049-1141 (Frankfurt a. M.: Goethe Universität, 1959). Darvish ʽAli Buzjāni, Rowżat al-rayāḥin, ed. H. Moayyad (Tehran: Bongāh-e Tarjome va Nashr-e Ketāb, 1345). See Sadid al-Din Mohammad-e Ghaznavi’s Maqāmāt-e Zhandapil Ahmad-e Jām, ed. H. Moayyad (Tehran: Bongāh-e Tarjomeh va Nashr-e Ketāb, 1961). The Colossal Elephant and His Spiritual Feats: Shaykh Ahmad-e Jām, ed. and trans. Heshmat Moayyad and Franklin Lewis (Costa Mesa: Mazda Publishers, 2004). 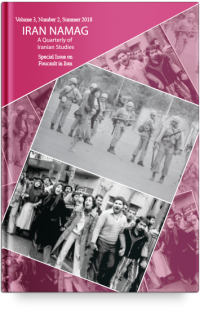 See Heshmat Moayyad, “Safar-nâme-ye Shâm,” Iranshenasi 6, no. 1 (1994): 1-17. See Jalāl al-Din Yusof-e Ahl, Farâ’ed-e Ghiâsi, ed. Heshmat Moayyad, 2 vols. (Tehran: Bonyâd-e Farhang-e Irân, 1977 and 1979). The conference proceedings were published in 1994 as H. Moayyad, ed. Once a Dewdrop: Essays on the Poetry of Parvin E‛tesami (Costa Mesa, CA: Mazda Publishers, 1994); see also H. Moayyad, ed. and trans., with M. Madelung, A Nightingale’s Lament: Selections from the Poems and Fables of Parvin E‛tesami (Lexington, KY: Mazda Publishers, 1985) and Divân-e Parvin-e E‛tesâmi: qasâ’ed, masnaviyât, tamsilât va moqatta‛ât, ed. H. Moayyad, with an introduction and bibliography (Costa Mesa, CA: Mazda Publishers, 1987). Mohammad Ali Jamalzadeh, Once Upon a Time (Yeki bud, yeki nabud), trans. H. Moayyad and P. Sprachman (Del Mar, NY: Caravan Press and Bibliotheca Persica, 1985). Heshmat Moayyad, ed., Stories from Iran: A Chicago Anthology 1921-1991 (Washington, D.C.: Mage Publishers, 1991). Heshmat Moayyad, ed., Black Parrot, Green Crow: A Collection of Short Fiction by Houshang Golshiri (Washington, D.C.: Mage Publishers, 2003). H. Moayyad, ed., The Bahá’í Faith and Islam (Ottawa, Canada: Association for Bahá’í Studies, 1990).